She’s very cute! I love giraffes. 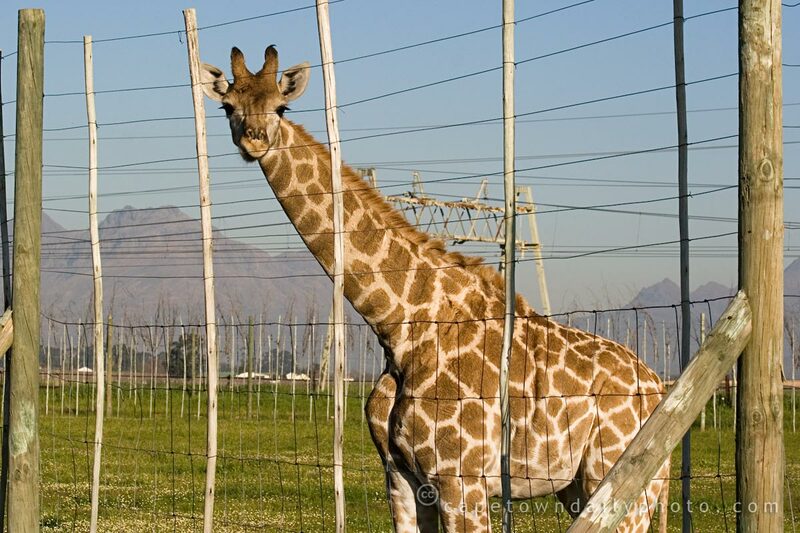 I’m not so fond of that massive powerline in the background, though (I mean, for the animals, not your shot). Wonderfully handsome giraffe! Hello Mr. Free Willy 4 movie-star! Rock on! I was wondering where this place was – not that Joshua, who is nearly 1 years old now would appreciate it as yet, but it is good to know where we can take him on a family field trip when he is around 2 to 3 years old. No, man, Paul! I meant the evil hazards of radiated cancer.